Meraas’ popular destinations City Walk, The Beach, Boxpark, The Outlet Village, Al Seef, La Mer and Bluewaters invite residents and visitors to celebrate Chinese New Year with cultural events and entertainment performances that offer an authentic Chinese experience. From 28 January to 23 February 2019, Meraas’ venues transform into an Oriental wonderland with glowing Chinese lanterns and themed decorations. Taking place every weekend and starting at 6pm, the family-friendly live entertainment includes eye-catching qipao dances and the Han & Tang traditional theatre show. The one-of-a-kind acrobatic performances are a definite must-see, while kung fu demonstrations and drum dances are a visual treat for children. 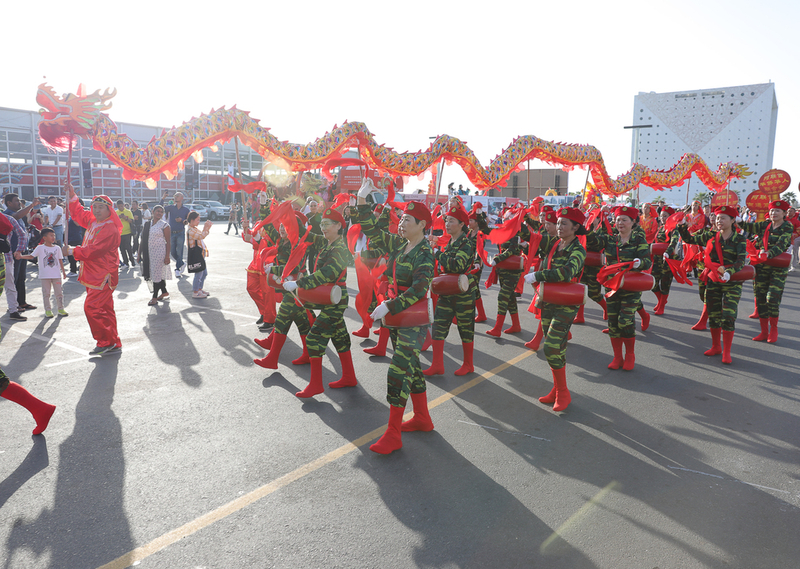 The highlight of the celebrations was the 20,000-strong colourful Grand Parade at City Walk, starring enormous dragons, acrobatic performers, magicians, kung fu fighters, Sichuan dancers and much more. The three-hour parade took place along Al Mustaqabal Street on 1 February at 4pm. From 7 to 23 February, Al Seef will host a Chinese local street food market that offers visitors the opportunity to sample all things deliciously Chinese, from spring rolls to dumplings and wontons. To celebrate the Chinese popular tradition, on 30 January a 20-meter-high kite in the shape of a dragon flew between The Beach and Bluewaters and enthralled spectators. 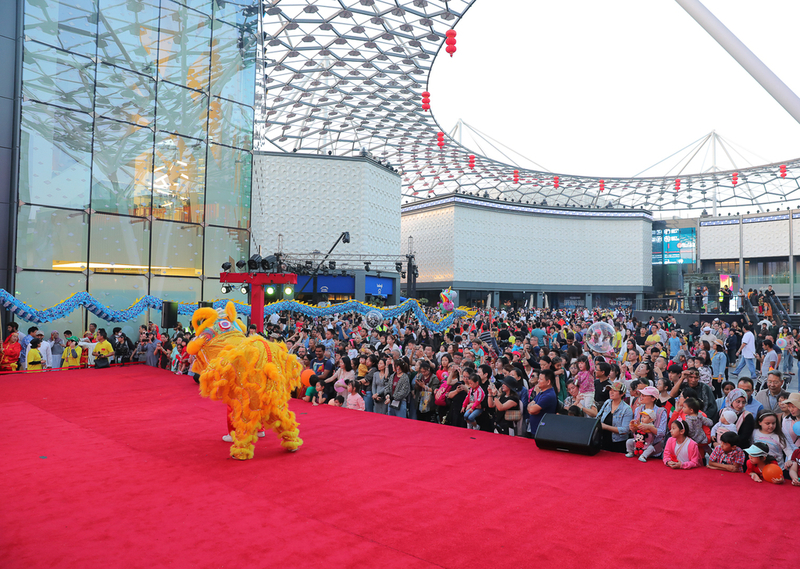 To kick-off the celebrations, Al Seef showcased a traditional China Box set-up on 28 January, followed by La Mer and City Walk on 29, 31 January and 1 February. The China Box featured traditional paintings and handicrafts in addition to various entertainment and live performances, while also giving visitors a glimpse of authentic Chinese décor.